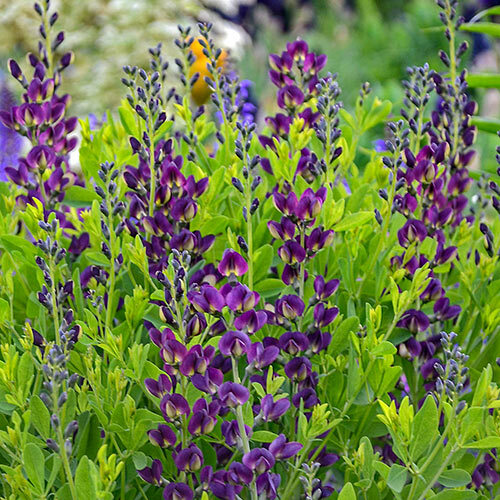 Enjoy three beautiful, native selections of baptisia, whose richly colored, pea-like flowers attract butterflies. 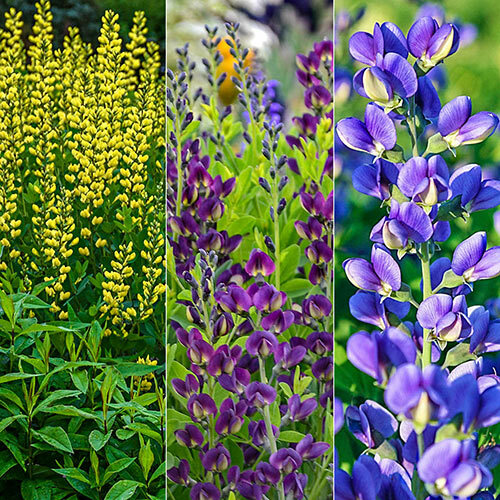 You'll enjoy a long baptisia season with these varieties, lasting from late spring into early summer. All three in this collection are "nitrogen fixers." This means bacteria gathers around the roots and pulls in nitrogen, which is highly important for plant growth, that the roots can utilize. 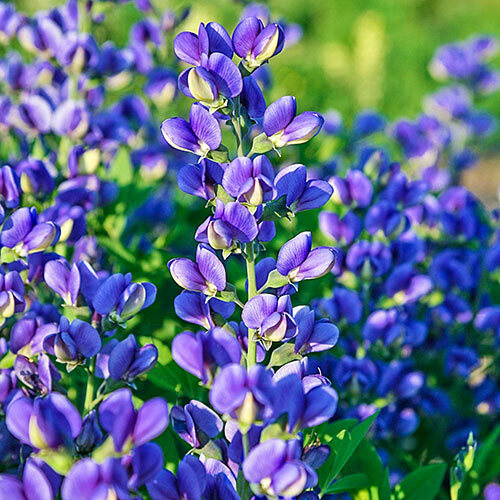 They're drought tolerant and easy to grow—a stress-free perennial feature in borders and rock gardens. The different varieties provide a dynamic range of heights. The strong, stable stems remain upright. 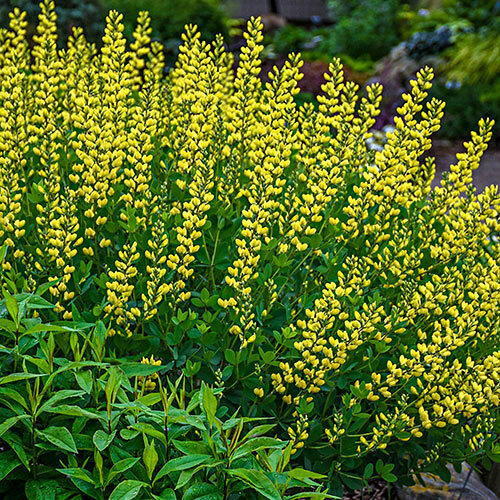 Deer tend not to bother with baptisia.